Today starts a serie of Tips and Tricks that I’ve discovered for the Smartphone Palm Treo 500 (unbranded). 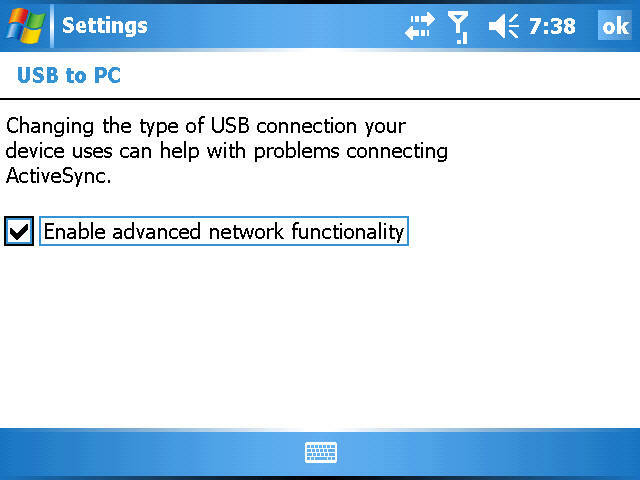 If your Palm Treo 500 isn’t recognized immediately by your Mac OS X (through Missing Sync), try to select: “Enable advanced network functionality” into: Start->Settings->Connections->USB to PC. Stay tuned for more Tips and Tricks! !